So even though most Corazzo clothing does a magnificent job of keeping you dry in a light rain, sometimes you need even more protection. And that’s where the “Portland” Rain Suit comes in. Made of nylon with taped seams, it’s guaranteed to be 100% waterproof. And the jacket and pants have easy-to-seal pockets and a removable hood. 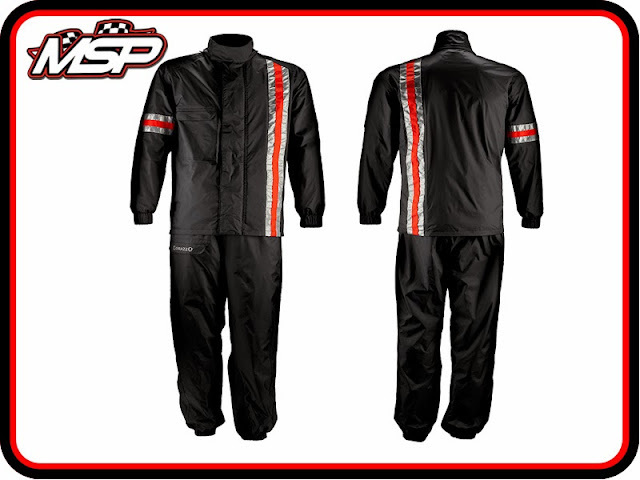 Just wear them right over your usual riding gear and you’ll stay both warm and dry. Available to purchase now at www.myscooterparts.co.uk and www.dropdedpeds.co.uk. The Shot V4 is designed to be used on tuned engines over 50cc. 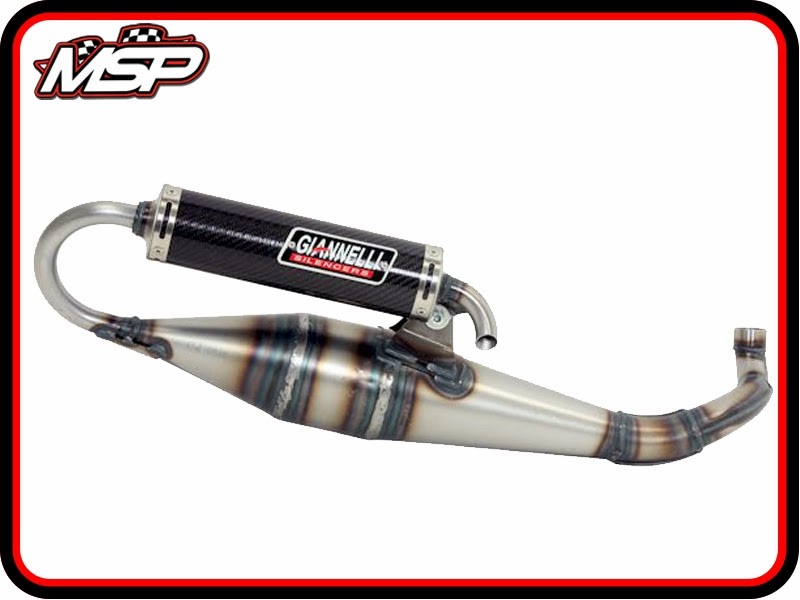 The Giannelli Shot V4 now features a new 70mm muffler, and a new mounting system that reduces vibrations, and allows faster and less frequent maintenance. The Shot V4 series is the state of the art line of racing exhausts with a handcrafted expansion body, and a reversed silencer made of carbon fibre, the bending radius of the linking pipe has been increased to maximize flow rates and thus the torque response at low and mid range along with a power gain up to 2hp over the original Shot exhaust. An increase in the main jet size will be required when using this exhaust. Available for a wide range of Super Scooters from www.myscooterparts.co.uk and www.dropdedpeds.co.uk. This revolutionary variator permits a considerably faster acceleration at the lower rev range offering a greater torque output across the power curve. Its structure is very simple and straightforward, more efficient and with better performance than traditional variators. There are no sliders or rollers. The difference is the weights are shaped like capsules. The plate of the pulley has holes where the weights are housed angled towards the outside. When the bell rotates the centrifugal force pushes the weights against the plate, therefore changing the diameter of the surface where the belt travels. The variator better suits some of the characteristics of the engine permitting a better transfer of power to the wheel, a more progressive acceleration and a better response to the opening and shutting of the throttle. Finally the most popular part in car tuning is also available for your scooter! The Black Diamond design combines elegant lines with pure racing look. The surface of the interior star is painted black, everything else is milled aluminium. This gives a fivefold, diamond-like pattern.The rims have the original width to ensure best cornering stability. Available for the Peugeot Speedfight 1/2 50cc and the Yamaha Aerox 50. The Black Ghost design combines elegant lines with pure racing look. The surface is painted black. This gives a fivefold, diamond-like pattern. Available for the Peugeot Speedfight 1/2 50cc and the Yamaha Aerox 50. 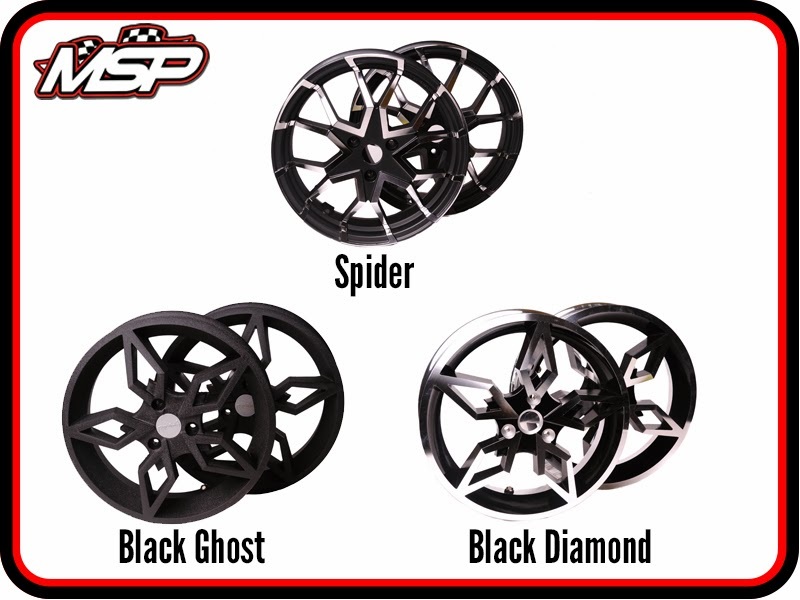 The Spider wheel has a completely new design that offers an extreme Racing style while still looking very elegant. The 12 thin spokes give the wheel a slim, spidery appearance. The wheel has a matt black painting and a CNC-milled finish, which extends to the wheel rim base, optically enlarging the pattern. 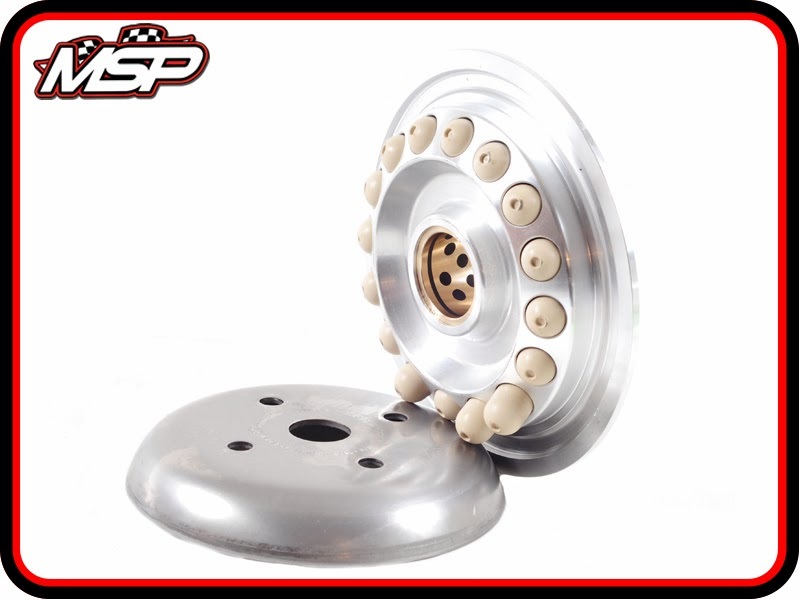 The wheels are made of light aluminium, eliminating some of the weight of the original wheels. Available for the Yamaha Aerox 50. A sporty NZI helmet that has proved its worth in World Championships (two time World Champion with Jorge Lorenzo and Alvaro Bautista). 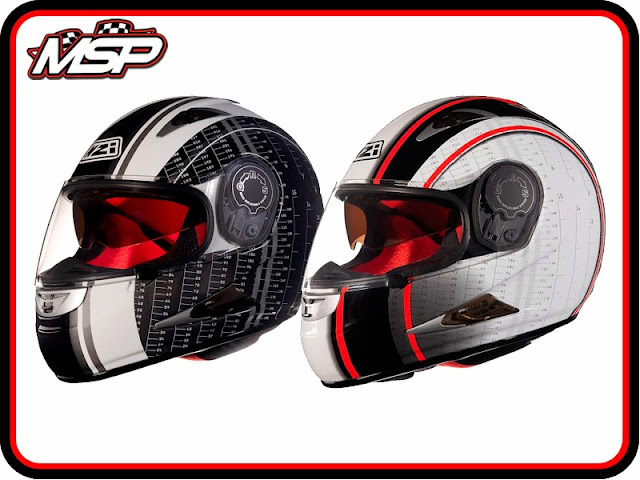 The helmet has been adapted for a more practical use with the incorporation of a sunvisor with One Push control, but remains to be one of the benchmarks in its category.